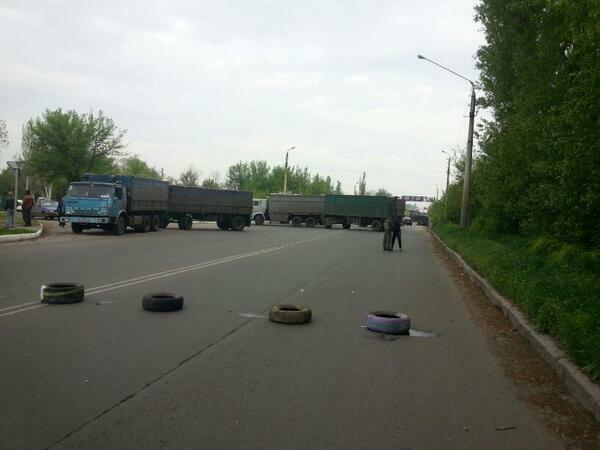 The Ukrainian Interior Ministry has also stated that they control ten checkpoints in Slavyansk. Reports have emerged that the Kiev forces are also going to attack Kramatorsk which is 19 kilometers away. One protester was killed, and another one injured during the attack on the city, say self-defense forces. Also, a journalist’s car has reportedly been fired on, according to RT’s Paula Slier who is trying to reach the scene, but the Ukrainian army seems to be blocking all entrances to the city – and even Kramatorsk.